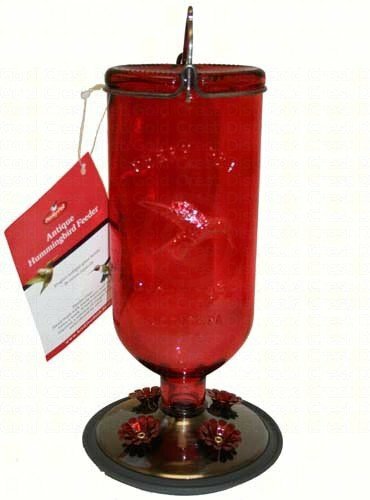 Elegant antique glass bottle feeder, red. 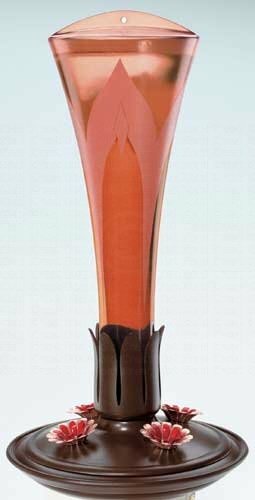 Four decorative feedindg ports. 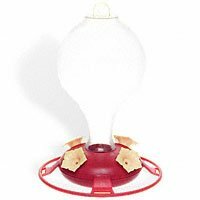 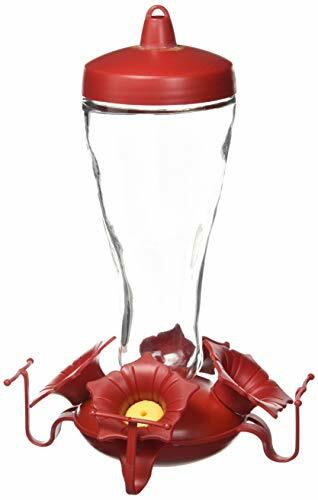 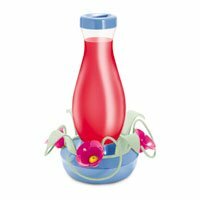 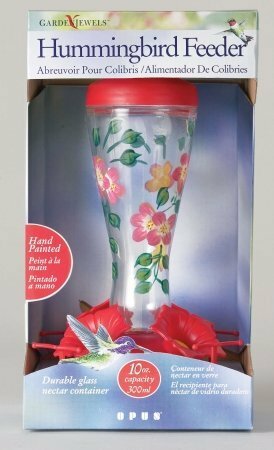 EZ Fill Glass Hummingbrid 16ozExclusive funnel base for easy filling.Durable glass nectar container.Built-in bee guards.Built-in ant moat.Fill with hummingbird food/nectar and hang outdoors.16 ounce capacity.Ingredients:Glass And Plastic.